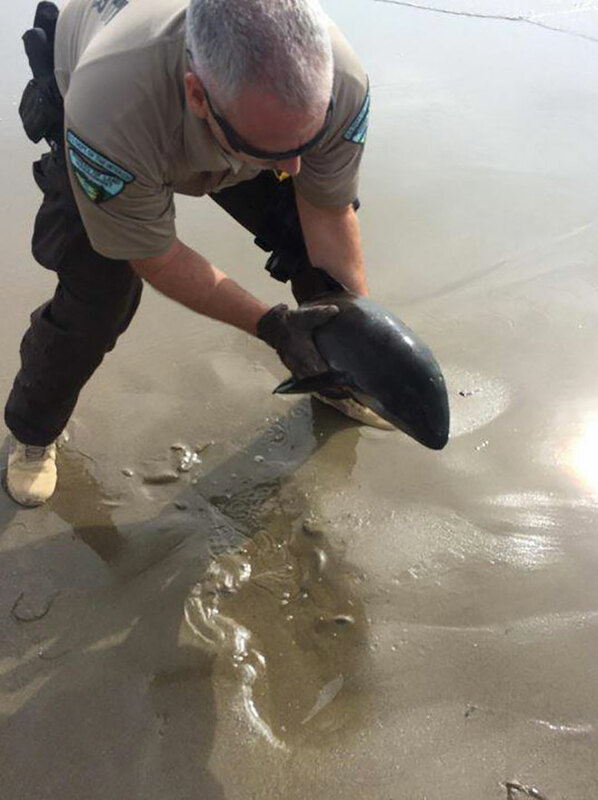 Rangers helped a baby harbor porpoise found beached out on the North Spit in Coos Bay last week in the US. Bureau of Land Management Rangers Shane Presley and Ted Gage waded into the water to help it back into the surf and hopefully back to its family. The rangers consulted with NOAA before releasing the animal back into the surf.